Who did Kim go after first? 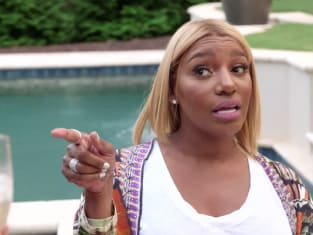 That was the big question on The Real Housewives of Atlanta Season 10 Episode 4 when the former star of the show appeared at Nene's party and had revenge on her mind. Meanwhile, Kandi struggled with her return to the spotlight with Xscape because she had to contend with running a restaurant, being a wife and a mother and a grueling training schedule.